Until 1904, the commercial banks had the right to issue banknotes. After this, the Riksbank had the sole right. The actual decision was taken as early as 1897, but it was not implemented until the start of 1904. 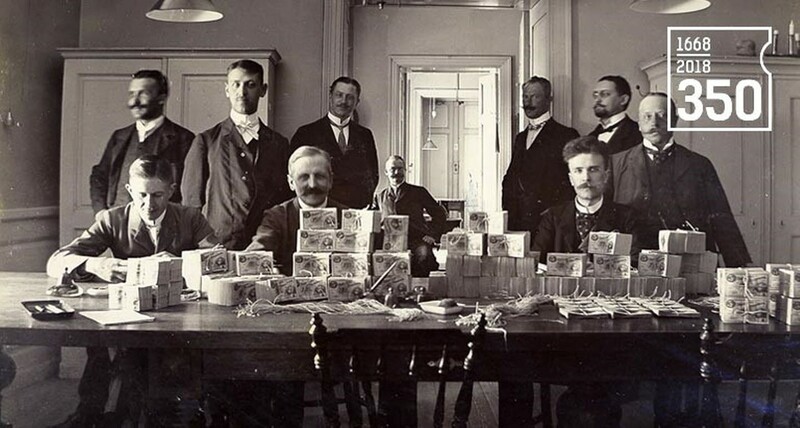 It was only then that the Riksbank became able to conduct a monetary policy in the modern sense, as the monopoly on the right to issue banknotes is a precondition for control over monetary policy instruments. If there are several issuers of banknotes, a central bank will be unable to control the volume of money. This means that the bank will be unable to increase the volume of money when the economy needs to be stimulated or to decrease it when the economy is overheated. The Riksbank’s sole right was primarily result of the repeated request that the right to issue banknotes should be withdrawn from the private banks. This is because issuing banknotes is profitable As long as the general public accepts them and allows them to pass from hand to hand, they act as interest-free deposits for the issuer. It was considered that the profit made by the private banks on their banknotes, known as seigniorage, could go to the state instead.